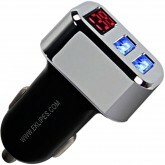 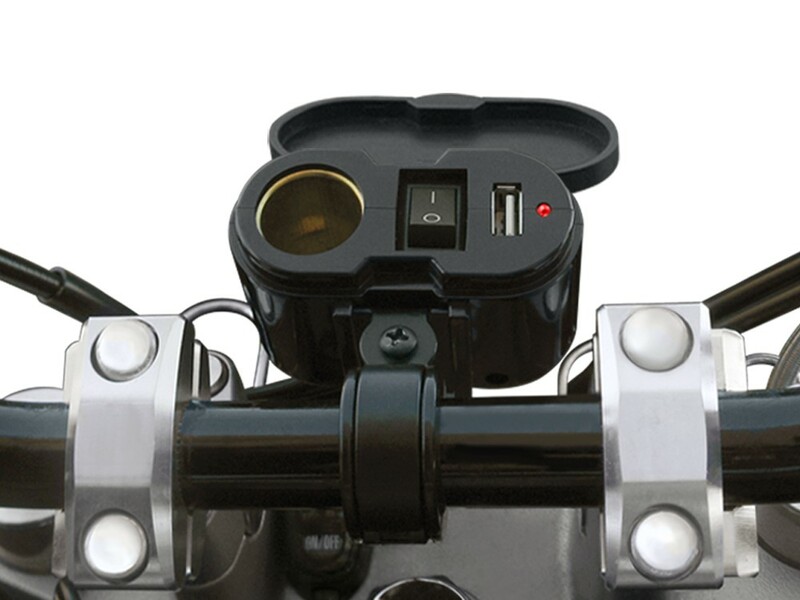 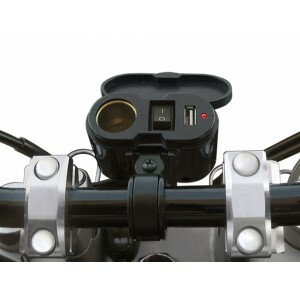 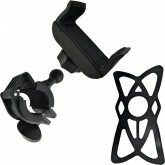 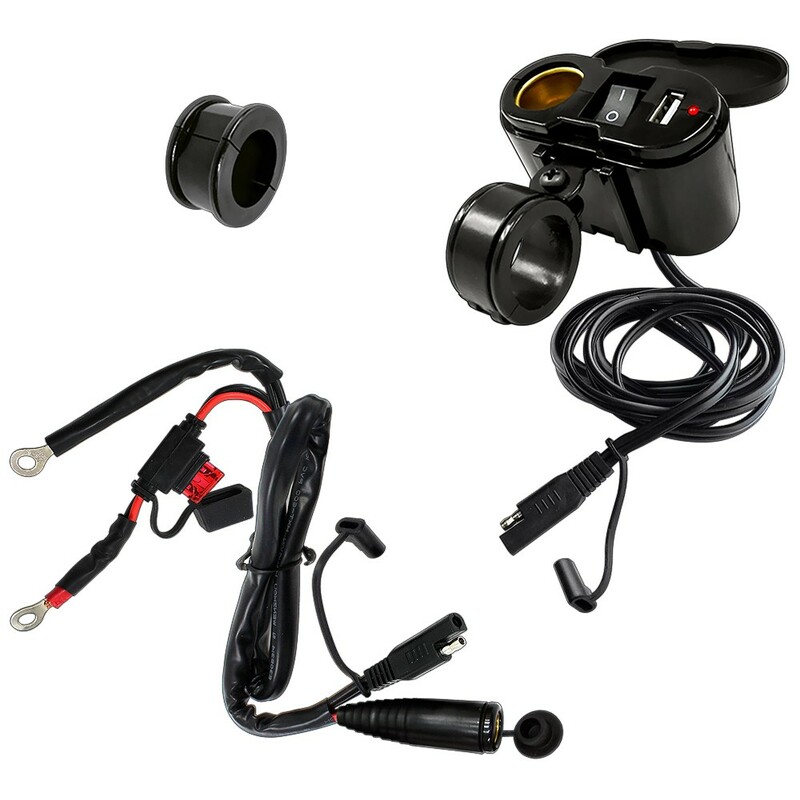 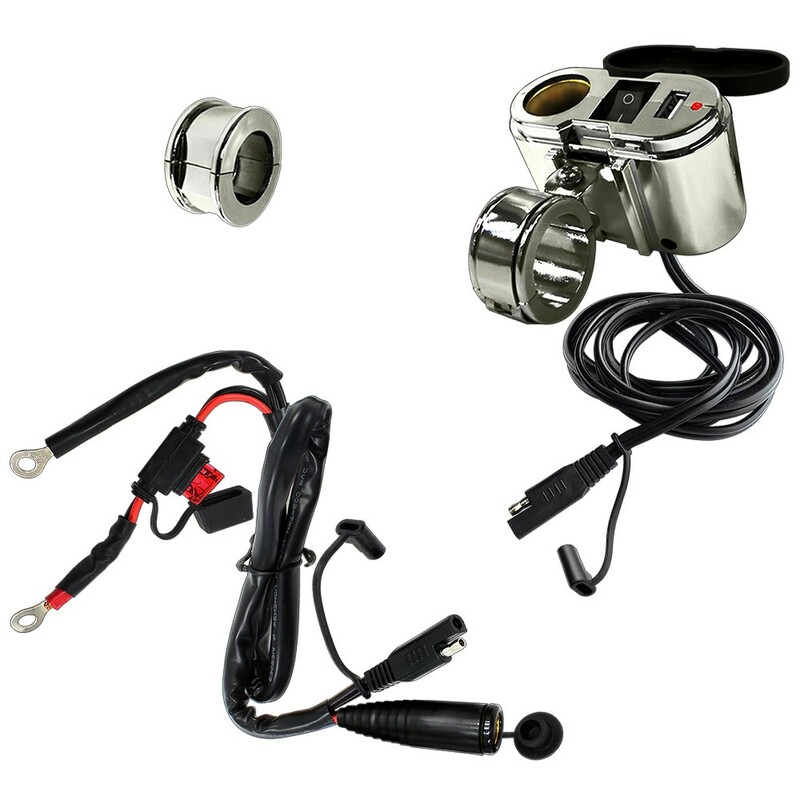 The EKLIPES™ Cobra Ultimate Cell Phone Charging System for Motorcycles has a 12 Volt Power Socket, an On / Off Switch, LED indicator light and a USB Port that will charge all Mobile devices and Equipment including iPhones, Android Phones, Windows Phones, iPods, iPads, MP3 Players, e-Books, and so much more! 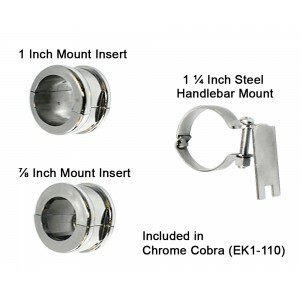 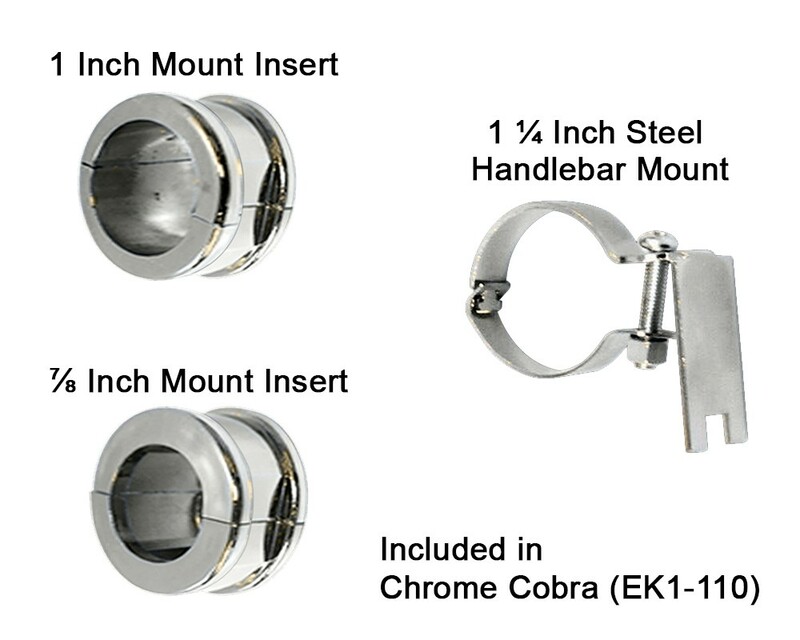 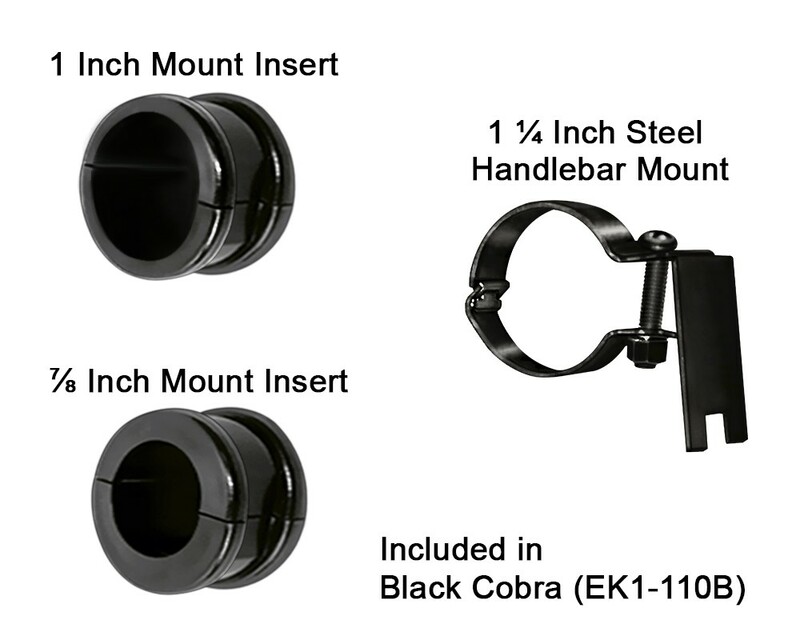 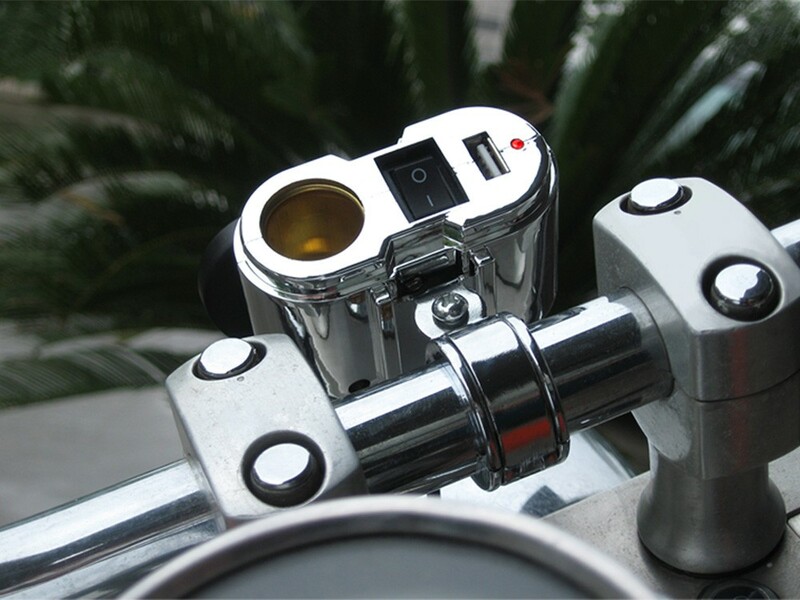 Includes: Adjustable Steel Mount and Mount Insert Rings that Fits ALL 7/8 Inch (22 mm), 1 Inch (25 mm) & 1.25 Inch (32 mm) Handle Bars, complete with locking mechanism, leaving you with the secure feeling, knowing thieves can't steal your Cobra Unit off your bike! 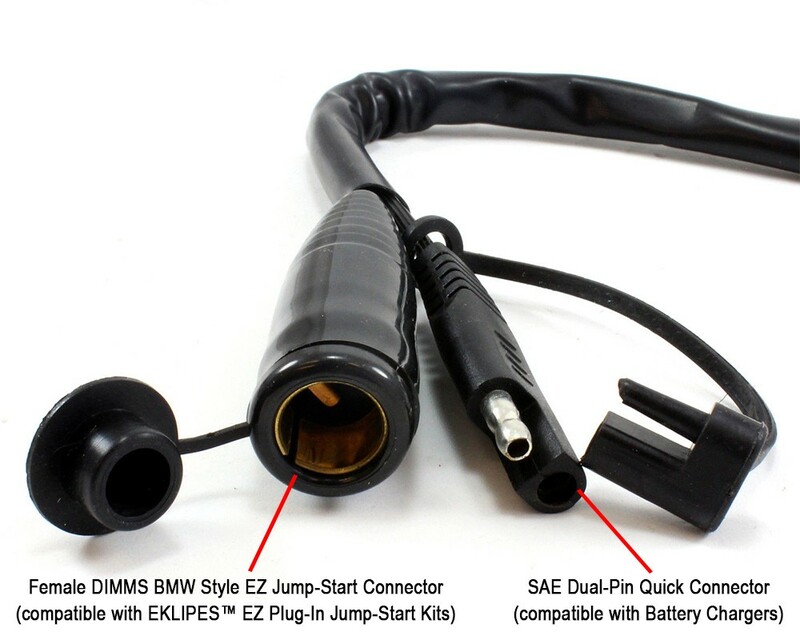 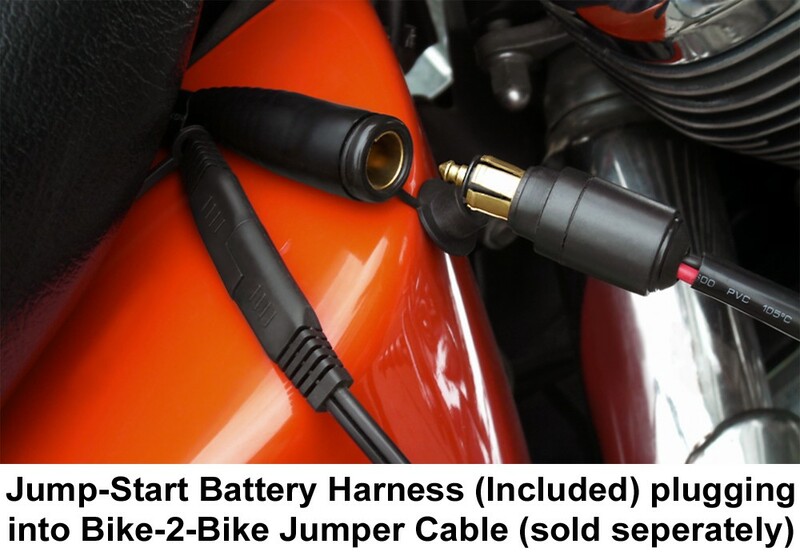 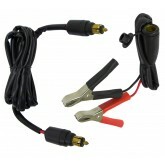 Also includes: EZ Jump-Start 2 Foot (61 cm) Battery Harness with 15 Amp Fuse Link, waterproof caps, SAE Quick Connector that works on all conventional Battery Trickle Chargers, and 12 Gauge Jump Start Plug compatible with EK1-125 EKLIPES Bike-2-Bike Jr. Plug-In Battery Jumping Kit.